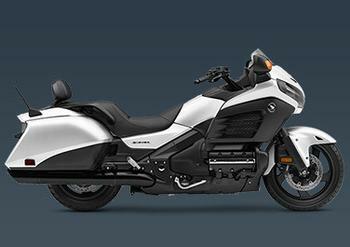 American Honda Motor Co. is recalling 960 model year 2009-2010 and 2012-2016 Honda GL1800 Gold Wing motorcycles. The motorcycles have air bag inflators assembled as part of the air bag module that may explode due to propellant degradation occurring after long-term exposure to lower absolute humidity, temperature and temperature cycling. An inflator explosion may result in sharp metal fragments striking the rider resulting in serious injury or death. Honda will notify owners, and dealers will replace the air bag module, free of charge. The manufacturer has not yet provided a notification schedule. Owners may contact Honda Motorcycle Customer Support at 1-866-784-1870. Honda's number for this recall is KJ1.